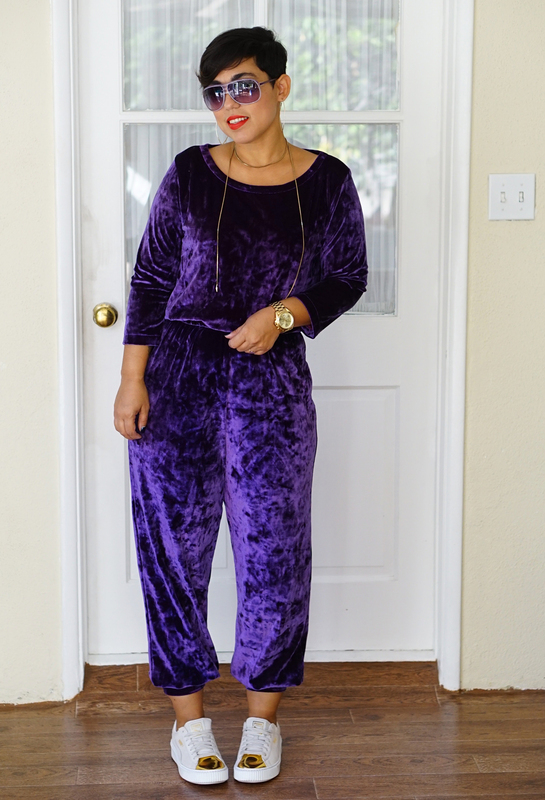 CRUSHED VELVET JUMPSUIT PDF PATTERN + DISCOUNT CODE! HI DARLINGS! 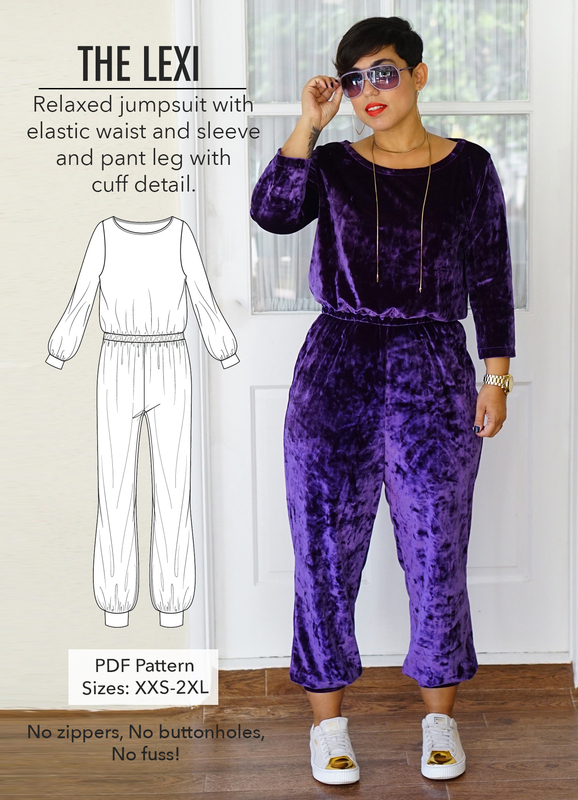 This is another version of my latest PDF PATTERN THE LEXI and I cant tell you how much you will want to make and wear it! First, there are no zippers, no buttonholes, no fuss! It’s easy to dress up or dress down as y6ou can see in THIS POST or you can rock it with sneakers like I did below. 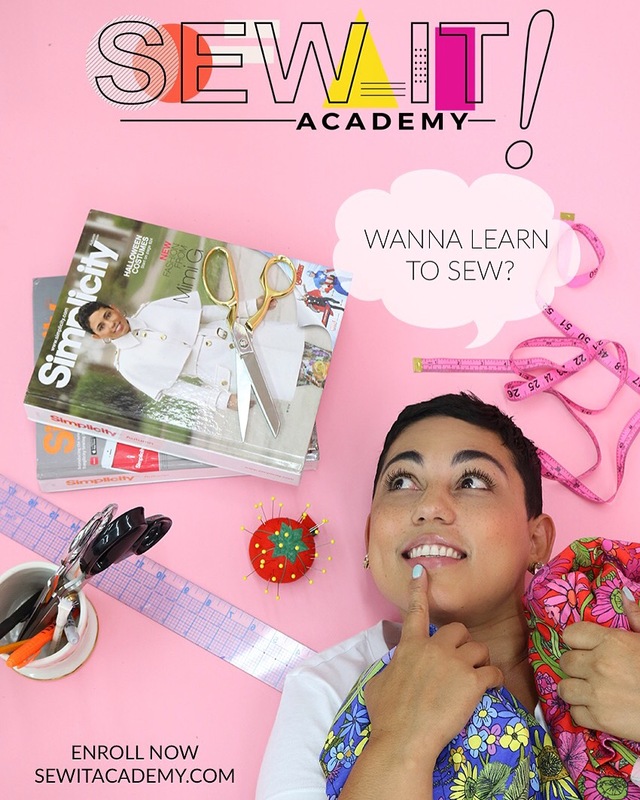 The pattern comes with a print at home PDF, copyshop PDF and an instructional PDF. 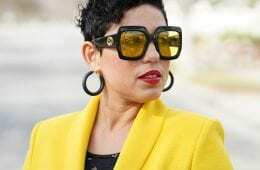 The jumpsuit is fast to sew up and is sized XXS-2XL. GET YOURS HERE! Use code “FALL01” at checkout and get $5.00 off the pdf pattern! 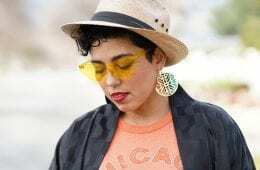 DIY Cowl Neck Sweater + Sew Along! Beautiful and I love velvet! 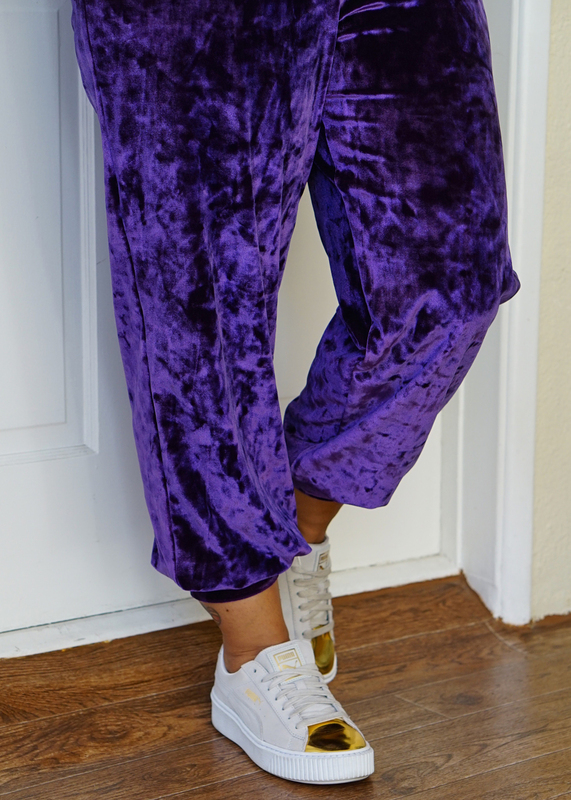 I had a pair of velvet/velour pants on yesterday and they’re so comfortable! Thanks for the discount code! As always…this is absolutely dope! Did you get this fabric and the black pleated fabric from Michael Levine? 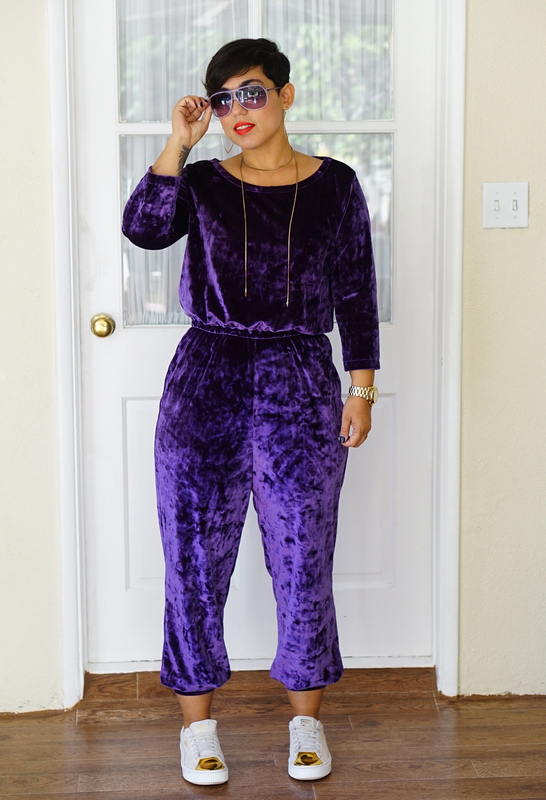 The pleated velvet I have not been able to find. 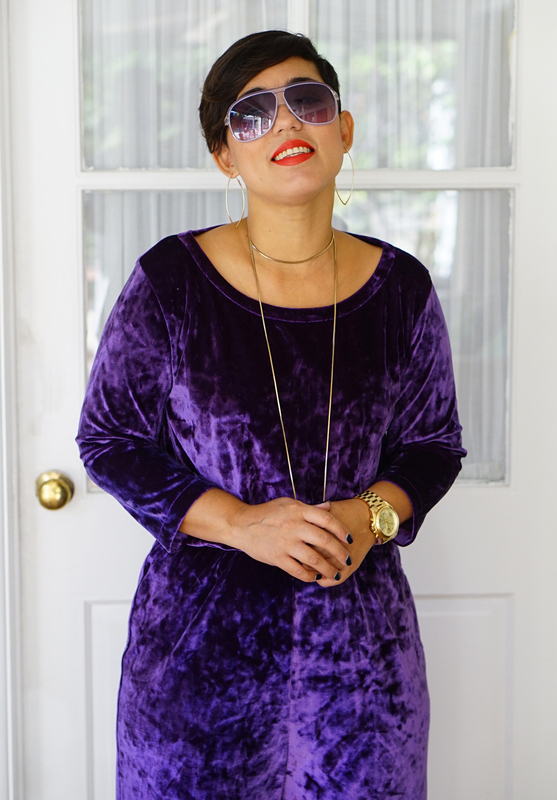 I just did a search for crushed velvet and a ton came up. You can print at a copy shop. this color looks awesome on you, Great!!! Very cute!!! I like it looks very comfortable!!!!! It is! lol, Thank you! Wow that looks super comfortable! Must have this pattern! Buying now. 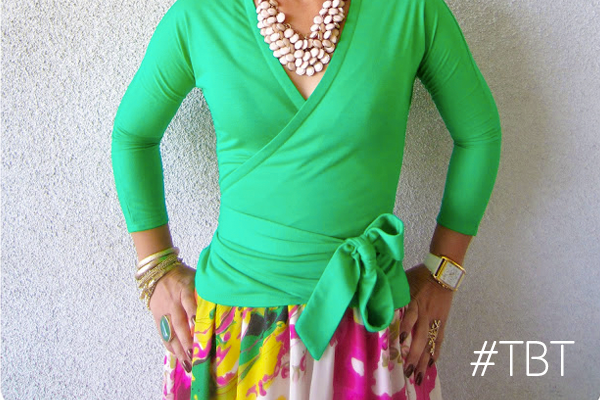 . .
Mimi G…can you PLEASE do a quick tutorial for this one?? The neckband is giving me a headache!! Lol. BUT…this jumper is LIFE!!! xoxoxoxo.